This Reddit user's speedo broke, and the way he got around the problem is hilariously clever. Reddit user brusifer posted the above picture to r/shitty_car_mods under the title "My speedo is broken, but the tachometer works fine. Lets fix it with vector graphics." 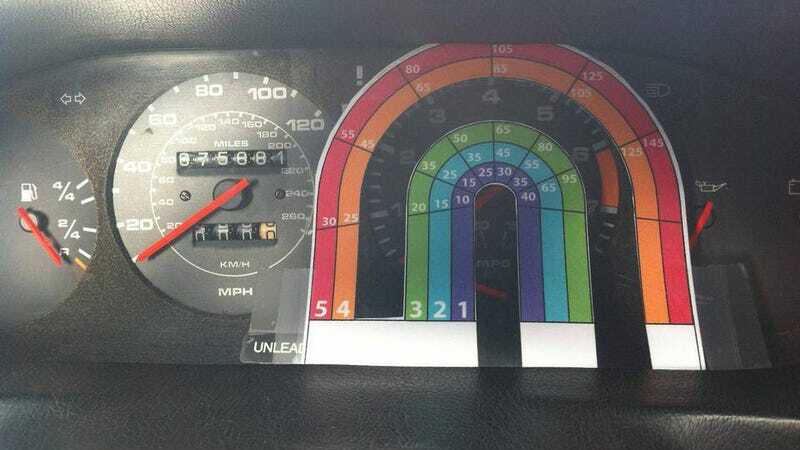 Basically, brusifer put up a graph around the still-working tachometer indicating vehicle speed in relation to engine speed in each gear. The solution is a little complicated, and a little hard to read at a glance, but it's cheap, simple, and it looks awesome.